Calling all Groomer Superstars, the Freebird Shears Poodle Passion SUPER SET is finally here! This is the perfect set for every groomer who has pure passion for their creations! Whether you are fresh in the industry looking at building your perfect toolkit, or are a veteran who simply wants to up your game and take your skills to the next level, the Poodle Passion Super Set is perfect for you! Five (5) Freebird Custom Designer Shears that you can fully personalize including our latest designer poodle shears and the new Fur Ninja Double Thinner! – YOU get to choose specifications according to your need and want for every pair of shears. Not only that, we offer name engraving at NO EXTRA CHARGE. A grand selection of our Designer Rhinestone Bow Ties, Glam Neck Ties and Hair Bows. You get over 20 beautiful accessories that will leave a lasting impression to your clients!and comfort and is great for small to medium size nails. Our Must-have Accessories Bag that includes everything you’ll need from finger inserts for all your shears to adjustment keys and spare parts. Custom wall art, stickers and decals that make the perfect fun ambiance for your shop! 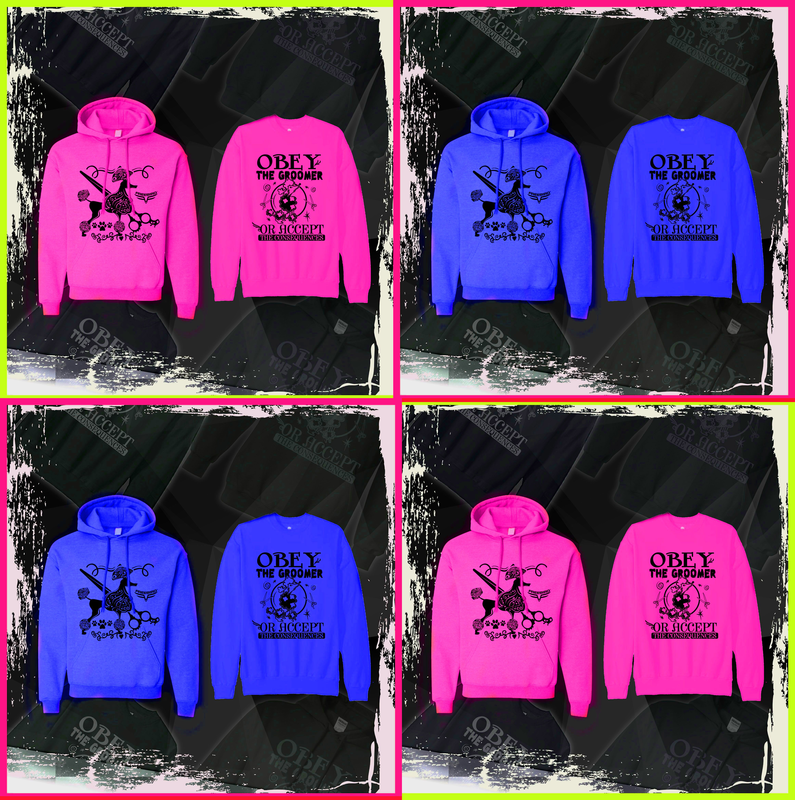 Additional “Obey the Groomer” Hoodie and Perfect Curve Designer Thinners Or Chunkers are also available at great discounts so don’t forget to take advantage of these savings. All in all, you get to enjoy over 50 items valued at over $1,000 for ONLY $259. You may want to hurry and take advantage of this crazy Black Friday/Cyber Monday Special before it is sold out. It’s a smart investment that will fire your passion and take your craft into the next stage. And because we don’t want you to miss out, we continue to offer easy Payment Plans and Money Back Guarantee. We can’t wait to hear from you, like thousands of our happy customers you’ll find in the review section. VERY Limited Time & Supply. Get Yours Before They Are Gone! Freebird Shears makes amazing products. I have had my shears for over 2 years and they are still my favorite. I love them so much I even had them tattooed onto my arm! I love Freebird Shears so much that I stalk their website on a regular basis just to see what awesome stuff they came up with now. I have used many shears in my life but Freebirds are are my absolute favorites! The passion and level of attention to detail the Freebird folks put into their work is second to none. All I gotta say is..... THANK YOU THANK YOU THANK YOU!! They are absolutely beautiful and way worth the price! I am in Love! This is amazing Freebird.....thank you!!!! I was so excited when this arrived today. I used the shears immediately. I'm so impressed and can't wait for the next box. I'm wearing my new t-shirt tomorrow for work and will definitely be using the scissors. Which are great....nothing like a set of Freebird shears. My first pair of shears was Freebird 7 years ago and still use them today. Thanks so much!!!! !